Powerful Off Road Magnetic Sweeper with Spring Assisted Debris Release Handles! With Spring Assisted Debris Release! 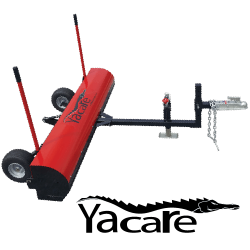 The Yacare is a powerful off road tow behind magnetic sweeper with a Spring Assisted Debris Release System that makes cleaning off the magnet easy. 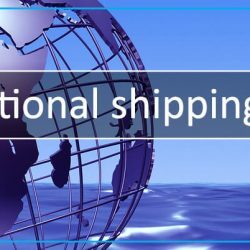 Even when the magnet is heavily loaded with metal debris it has picked up, cleaning it off can be done in seconds without much effort or bending over. 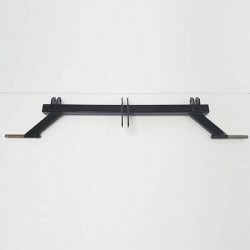 The Yacare’s 72 inch sweeping width, lighter tongue weight and overall slim profile makes it a good choice for towing behind ATV’s, UTV’s, or small tractors. It is possible to tow the Yacare behind a pickup truck but it may not be visible to the driver of the vehicle due to it’s smaller size. Spring Assist Debris Release System. Why the Yacare stands out as an off road magnetic sweeper! 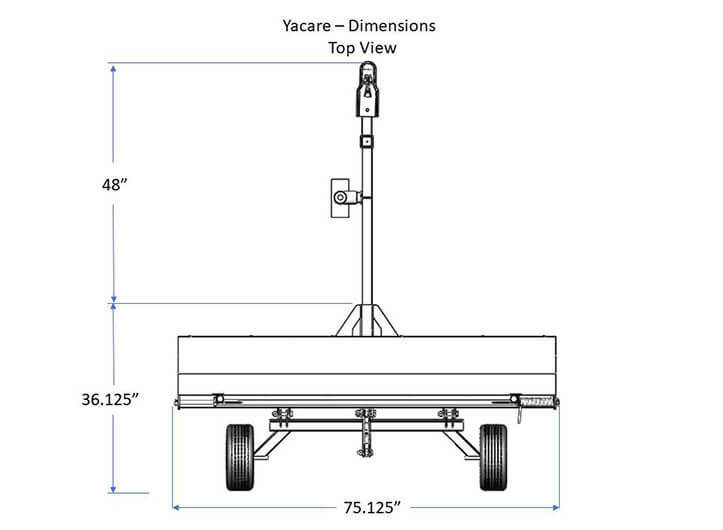 The Yacare is a 72″ wide off road magnetic sweeper built for durability with a solid 0.125″ thick steel rear frame tube, 16 gauge protective steel lid around the magnet, 14 gauge stainless steel bottom and inset 13″ x 6.5″ flat proof Carlisle ball bearing wheels. View the CAD drawings for more details on construction materials. The Yacare has the power to pick up metal debris over rough, uneven terrain where the ground height can be a greater distance from the magnet. 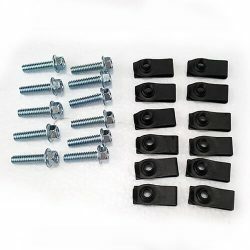 It uses permanently charged C8 Ceramic magnets that provide a strong magnetic field with a maximum lifting height of 9 ¾” using a 2 ½” nail. This means if the bottom of the magnet was 9 ¾” off the ground it could pick up a 2 ½” nail in a bench test at zero speed. This amount of power combined with the ability to adjust the sweeping height from 2 to 6 inches means that you can set the sweeping height higher if needed in rough conditions and the magnet will still be able to pick up debris. 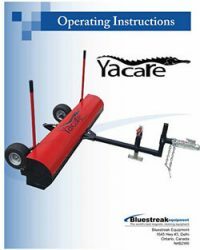 A key operational feature of the Yacare is the Spring Assisted Debris Release System. Cleaning off the debris from the magnet only seconds even when the magnet is heavily packed with metal debris. 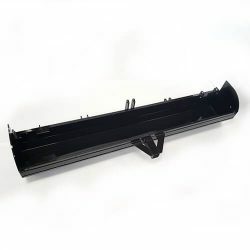 To clean off the Yacare magnetic sweeper when full of debris, just push down on one of the spring assisted clean off handles located on either side of the unit. Pushing down on just one of the handles cleans the entire magnet off. This rotates the magnet inside the covered lid. The magnet will stick to the inside of the lid and stay in the “up” position while you get in your vehicle and pull the magnet ahead and away from the debris. You can then get out of your vehicle and lower the magnet again. 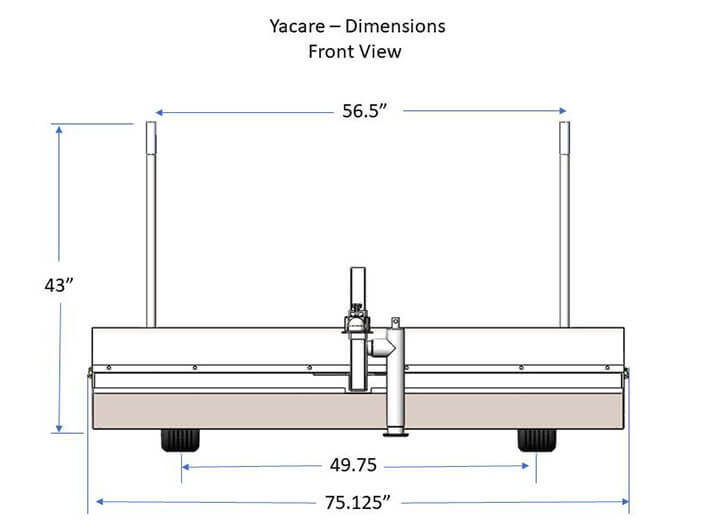 The Yacare magnetic sweeper is designed to be used around industrial facilities, farms, equine facilities, construction sites and landfills where there is a need to eliminate flat tires or reduce animal injury due to metal debris such as nails, screws, wire, discarded pieces of metal from fabrication activities, bolts, nuts, pins, screw drivers, wrenches. The Yarcare is designed to pick up this type of metal debris at these site conditions. Debris doesn’t get wiped off! One problem when going off road is that debris can be wiped off a magnet when long grass or dirt hits the bottom of the magnet. But with the Yacare the “Wrap Around” magnet design ensures debris never gets wiped off the bottom of the magnet in grass or dirt conditions. Debris just slides to the edge of the bottom and snaps to the back of the magnet. 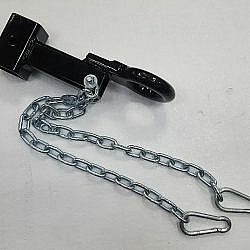 It stays attached to the magnet until you release the debris with the Spring Assisted Debris Release Handles. Clean off only takes seconds! The Yacare comes standard with a Spring Assisted Debris Release Wystem. To clean off the Yacare magnetic sweeper when full of debris, just push down on one of the spring assisted clean off handles on either side of the unit. Pushing down on just one of the handles cleans the entire magnet off. This rotates the magnet inside the covered lid. The magnet will stick to the inside of the lid and stay in the “up” position while you get in your vehicle and pull the magnet ahead and away from the debris. You can then get out of your vehicle and lower the magnet again. 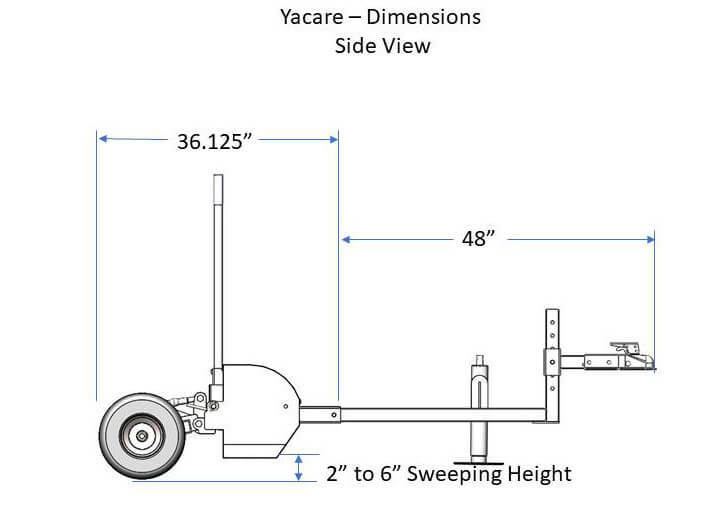 The Yacare sweeping height is adjustable from 2 to 6 inches to accommodate rough conditions by turning the top link attachment on the rear wheels which adjusts the wheels up or down. Turning the top link offers “continuous” adjustment to achieve any sweeping height between 2 and 6 inches. The benefit of being able to quickly adjust the sweeping height via the top link is that you can always make sure you’ve got the magnet sweep height as low as you can without hitting the ground which greatly increases the speed you can travel at with the magnet and the magnet performance at picking up metal debris. The Yacare uses permanently charged grade C8 magnets that never need to be recharged. Power will never decrease, ensuring years of use. The magnets in the Yacare magnetic sweeper are completely enclosed in a stainless steel lid that takes all of the wear and tear of everyday use. 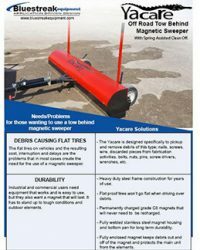 The Yacare magnetic sweeper will pick up a 2 and 1/2 inch nail when the bottom of the magnet is 9 and 3/4 inches off the ground providing plenty of pickup power performance in dirt, gravel and off road conditions. To maximize performance, we recommend setting the sweeping height between 3 and 4 inches in most situations. Sweeping height is set by turning the top link attachment on the rear wheels which adjusts the wheels up or down. 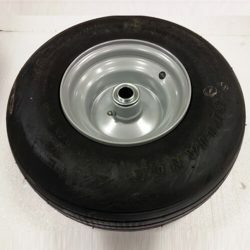 The Yacare comes standard with off-road flat-proof 13” x 6.5” Carlisle ball bearing wheels located close behind the magnet ensures a consistent height off the ground is maintained when sweeping. These wheels are for low speed operation only and not meant for on road high speed use. The wheels on the Yacare are inset from the end of the sweeper. The inset wheels add to the Yacare’s off road capabilities by ensuring the magnet is less likely to bottom out as often in very rough conditions. Built for Long Term Durability. The Yacare’s magnet housing is protected inside a covered lid made of 16 gauge stainless steel. In addition, the bottom pan (angled front portion, bottom portion, and vertical back portion) is 14 gauge stainless steel. The frame tube across the back of the Yacare is 0.125″ stainless steel and the bottom 2 inches are steel sides. The benefit of this steel construction is the strength and durability that steel offers. The stainless steel also ensures that these areas never become magnetized. The benefit of this is that when you want to clean the debris off of the Yacare, all of the debris will fall off when the debris release lever is pulled. These pieces never get magnetized over time. This ensures a well functioning clean off mechanism. 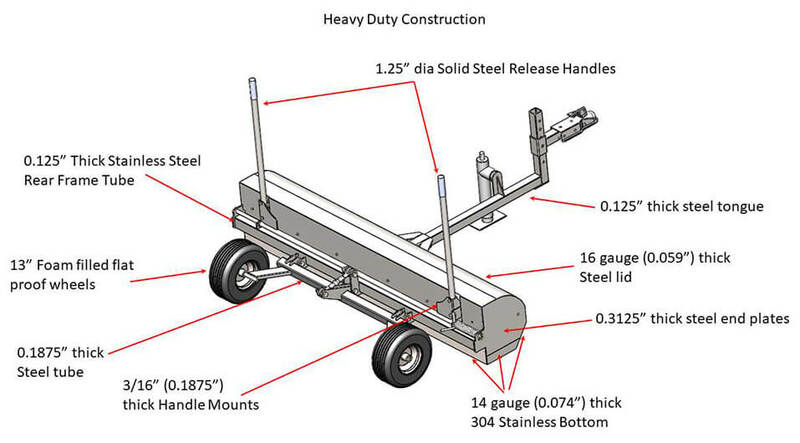 View CAD drawings for details on materials and construction. If you're trying to decide between the Rhino and the Yacare this information may help you. 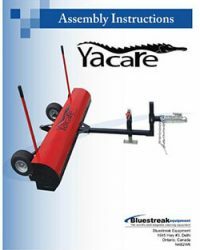 Why Purchase The Yacare Instead of Rhino Magnetic Sweeper? No Quick Clean Off Sleeve – For heavier users with a lot of debris, the Quick Clean Off Sleeve of the Rhino is probably something they may wish they didn’t have to deal with. With a lot of debris comes a lot of pulling the Sleeve off and on. The Sleeve is also a wear item and will eventually need replacing. And if there is a lot of debris, you have to keep up with it and pull the sleeve off to clean off the magnet before the magnet gets so covered with metal debris that you can’t pull it off. When that happens it’s a pain. So because of this more debris, heavier use, or maybe you just don’t want to pull a sleeve off, you may want to move up the Yacare. The dual debris release spring assisted handles on the Yacare make it easy to clean the magnet off with no bending over, no matter how much debris you have accumulated on the magnet. More Power – The Yacare has a bigger magnet and a bit more pickup power enabling it to pickup a 2 ½” nail from 9 ¾” instead of the Rhino’s 8 ½”. Is it a big deal? Maybe, maybe not, but it can be argued that more power is always better when trying to pick up debris. But we always say internally that features and application specific design have an even greater effect. But the Yacare also gives you just that bit more power than the Rhino. Increased Durability – The Rhino is a rock-solid design, but there’s no doubt that the Yacare is somewhat more durable long term because of the stainless steel bottom pan which comes into contact with the debris or ground. The Rhino by comparison is an aluminum magnet housing, which may or may not be covered with a PVC Quick Clean Off Sleeve depending upon whether the user purchased this accessory. The stainless steel bottom pan on the Yacare adds some extra durability by comparison. Continuous Sweeping Height Adjustment from 2 to 6 inches. Flat proof 13" x 6.5" Carlisle ball bearing wheels. Available in 1 sweeper width of 72 inches. Permanently charged Grade C8 magnets. Safety signage on back of magnet. Rugged Durability and Stainless Steel Construction. Wrap around feature so debris snaps to back of magnet and isn't wiped off. Pickup height of 9 and 3/4 inches. 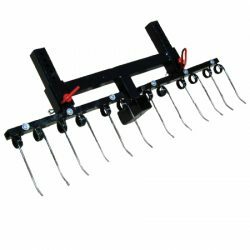 Optional Debris Digging Rake Accessory. Comes fully assembled and easy to install. See The Yacare Brochure for further specifications.